The Federal Election Commission has long taken a light-touch approach to regulating online speech. But two recent cases involving livestreaming and filming political debate resulted in split, 3-3 votes along party lines. Is digital free speech in danger? FEC Commissioner Lee Goodman joins the show to discuss. 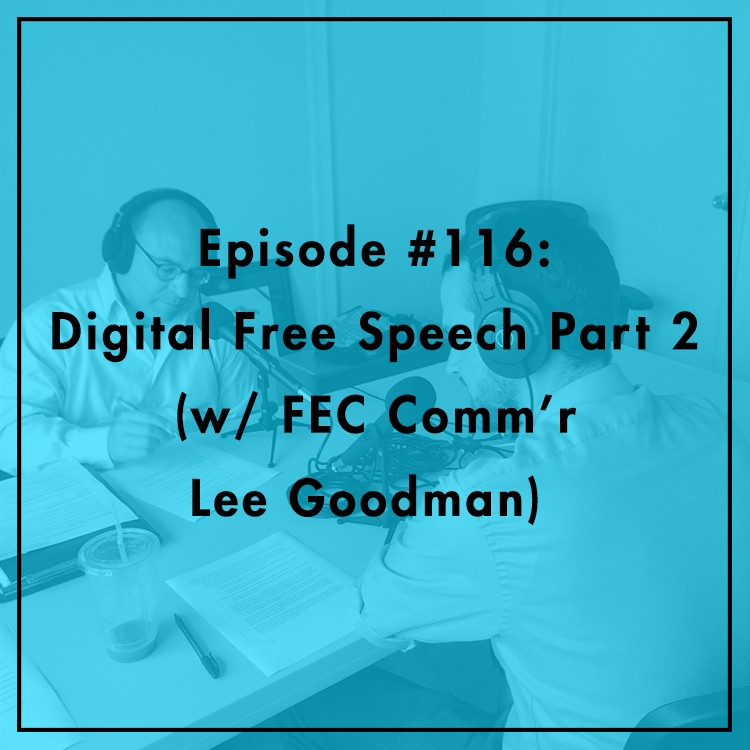 Listen to part 1 of our series on digital free speech here.